Further to the developments of Asian and European connective corridors, in 1993 the ministers of transportation of European countries introduced another route for commercial connection of Asia and Europe which establishes a transit connection for the north European and Scandinavian countries as well as Russia through Iran with the countries within the regions of Indian Ocean, Persian Gulf and Southeast of Asia. Besides providing a commercial and transit connection between the countries of North Europe, Scandinavia and Russia and other European countries, the new corridor called North-South Corridor also extends to Indian Ocean and the Asian Southeast countries by passing through Iranian territory and using the Iranian ports in the Persian Gulf. Using this route, a large part of Asian and European countries can deal with their commercial transactions. Until before the formation of this corridor, goods owners and merchants of Persian Gulf and Indian Ocean regions generally used sea and open waters in order to send their goods to the central and north Europe and Russia. 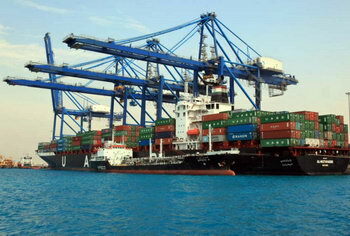 In this transportation method, the goods may be transported to the Mediterranean Sea through Indian Ocean, Oman Sea, Gulf of Aden, Red Sea and Suez Channel. The goods with final destination of South Russia and Ukraine are transported to Adysa Port through Black Sea and those with final destination of North Europe and North Russia can be transferred to North Europe, Helsinki and San Peters Burg Port by passing through the Strait of Gibraltar, Atlantic Ocean, Manish and Baltic Seas. 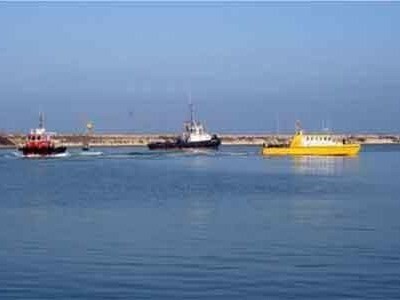 This method of transportation is quite costly and time consuming for exchanging commercial goods between the countries of Indian Ocean and North Europe. Use of North-South Corridor can be followed by a considerable saving in the time and cost of goods transportation between these countries. The Asian and European countries can exchange their goods in the North-South Corridor with a doubled speed as compared to the Suez Channel. This is highly important for the two continents considering the establishment of new countries in the Middle Asia s well as formation of new global markets in the Indian Ocean and Persian Gulf regions. 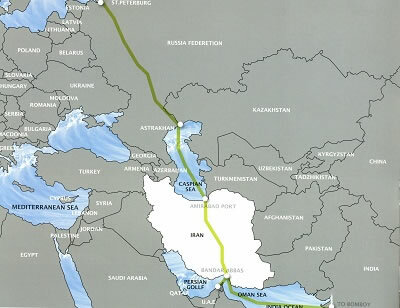 The North-South Corridor an important part of which passes through the Iranian territory is currently the most important and most suitable ring for goods transit between Asia and Europe. 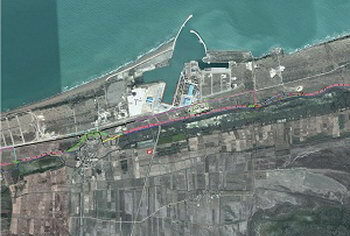 This corridor currently begins from the Indian Ocean region (Mumbai Port) and connects to Bandar Abbas in the south of Iran through the sea. 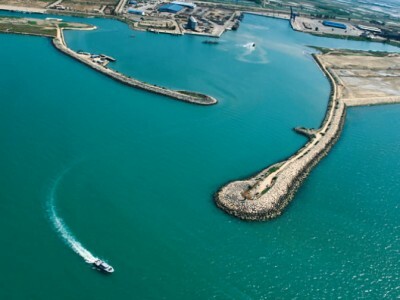 In the Iranian territory, the goods are transported to ports in the north of the country (Anzali and Amirabad Ports) through road or railroad transportation and then they are transported through the Caspian Sea to the Astarakhan and Lagan Ports at Russia. By completion of Qazvin-Astara Railroad in Iran, road and railroad access to the countries within Caucasian and Russian zones will be possible. Transportation costs of transit goods between the countries within the Indian Ocean and North Europe zones are 30%cheaper through the North-South Corridor. By joining to the international North-South transportation corridor which is one of the polyhedral corridors, the countries within Southeast and Central Asia, Middle East, Indian Ocean, Persian Gulf and North Europe will be able to enjoy its advantages for fast and cheap transportation of their goods between Asia and Europe. One of the important advantages of this corridor is the several interchanges it has with different corridors between central Asia and Europe including Traceca and Altide.